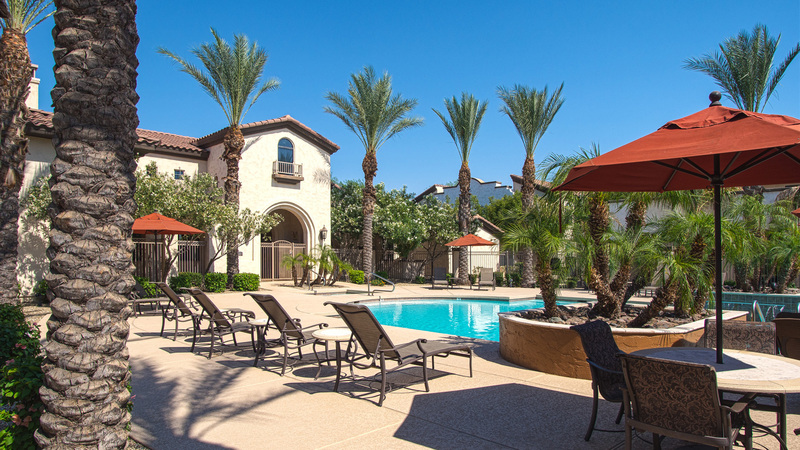 Phoenix, AZ – June 23, 2017 – ABI Multifamily, the Western US's leading multifamily brokerage and advisory services firm, is pleased to announce the $43,500,000 / $168,605 Per Unit sale of the Chuparosas Apartments located in Chandler, Arizona. Chuparosas is a two story, garden-style apartment community which rests on approximately 17.13 acres. The property was built in 2007 of frame construction with pitched, tile roofs and individually metered for electricity. The property boasts an attractive unit mix of 110 - 1 bedroom, 132 - 2 bedroom and 16 – 3 bedroom unit types with a weighted average size of 996 square feet. "Chuparosas offered the buyer a number of strategic advantages," states Rue Bax, Senior Managing Partner, lead broker for this transaction who represented both the Buyer and Seller. "First, the Buyer was seeking a property in a solid performing submarket with potential for increased rents. Second, the Buyer sees Chandler as a solid performing submarket with more room for growth, when compared to the Downtown Scottsdale, North Tempe and Downtown Phoenix which has experienced tremendous new construction activity. The property is located a few miles away from Intel and Phoenix's ‘Silicon Desert' epicenter. Since 2016, the area has witnessed over 5,000 new job and $7.5 billion in economic development announcements which the Buyer intends to capitalize upon." The Buyer, Acacia Capital Corporation, is a private investor based in California with over 3,000+ units owned across the Phoenix MSA. The Seller, Farnam Realty, Inc., is a private investment/development company based in Arizona.